In addition, our health care assistant conducts routine blood tests. For more information about the following services please contact our reception assistants. Community matrons, district nurses, health visitors, midwives and a community psychiatric nurse work with the practice providing care for our patients. The district nurses visit those patients in need of nursing care who are too infirm to attend the surgery. Parents, carers and relatives can contact the OneCall on 0845 0920 414 to request a visit. The health visitor is a fully qualified nurse who has had extra training in caring for people in the community. She will assume care of new mothers and infants when the baby has reached 10 days old as well as offering support, advice and information about feeding and also general health and safety of the family. She will also visit other families with children five years and under. The team run baby clinics, parenting groups and baby massage classes. As well as the health visitor, there is a qualified nursery nurse, who is able to offer support and advice on child development. Telephone: (01293) 600300 ext 3230. The midwife is qualified to give advice and look after you during pregnancy, labour and after the birth (for 10 days). You will see the midwife for a booking appointment at Crawley Hospital (ring (01293) 600338 to book appointment), where your health and pregnancy will be discussed and a risk assessment completed. Follow-up care will be arranged at the surgery or at a consultant clinic at Crawley if you are high risk. The midwife runs an antenatal clinic at the surgery on Monday afternoons and Thursday mornings. You need to ring the surgery to make appointments. 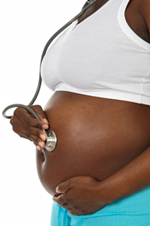 The midwife will arrange and take antenatal classes to prepare you for the birth and afterwards. She can be contacted between 8.30 - 9.30am by ringing Crawley Hospital on (01293) 600300, ext. 3631, or leave a non-urgent answer phone message after 9.30am. To help us offer the appropriate advice, please complete this form and bring it into the surgery prior to your travel appointment so that the nurses can ascertain what is required prior to your appointment. The fees for these services can be found here. Fees are to be paid prior to attendance and at the time that the service is requested. Payment can be made by cash or cheque payable to Ifield Medical Practice. Please be aware that NHS work takes priority and non-NHS work could take 2-3 weeks.